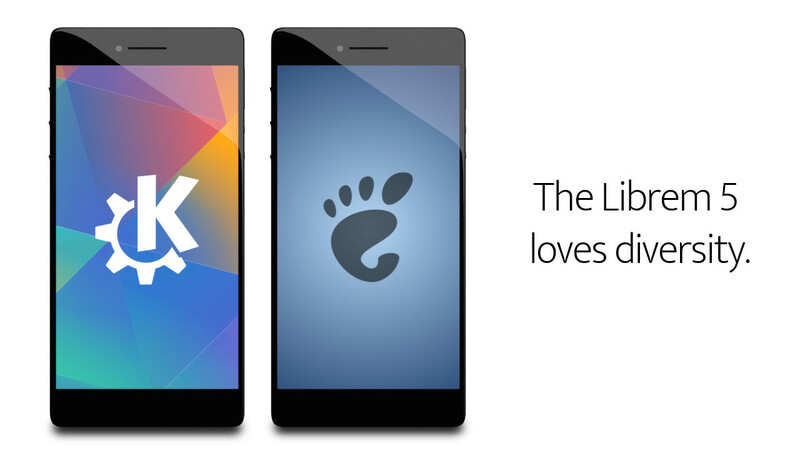 You might have heard about our Librem 5 phone campaign that we recently launched and that has now crossed the $300,000 milestone. If you are reading this particular blog post, it is quite probably because you are a member of the great GNOME/KDE/freedesktop community, and if you were expecting the Librem 5 to be only “a GNOME phone” and exclusionary of others you will be happy to know that Purism is working with both KDE e.V. and the GNOME Foundation, and will continue to do so. As a point of clarification, Purism is supporting GNOME/GTK and will continue to do so; Purism is also supporting KDE/Plasma and will continue; forming partnerships with these great communities is a way to establish our long-term commitment to those goals. Likewise, Purism will ship PureOS by default on the Librem 5, but will support and work with other GNU/Linux distributions wishing to take advantage of this device. We are planning to empower users to run both GNOME, KDE, or whatever they see fit, on their GNU+Linux phone—just like we can have both GNOME and KDE on the same desktop/laptop today. The fact that we are going to be making an integrated convenient product that may or may not be a vanilla or heavily modified version of one of these two desktops as the “official recommended turnkey product choice for customers” takes away nothing from the value of these environments or from the ability to run and tinker with whatever Free and Open-Source software you see fit on your device—a device that you can truly own. Even if one project is not chosen as the reference product user interface, it gains a hardware reference platform that community members can standardize on, and thus improve itself however they see fit. This is not the nineties. GNOME and KDE have had a healthy collaboration relationship for the better part of a decade now! We will still provide support to developers and testers across the board, everybody is welcome. From a higher perspective, we believe this campaign is vital to the relevance of Free Software and the viability of GNU+Linux (vs Android+Linux) beyond the desktop, and to protect ourselves from pervasive surveillance and data capitalism. We hope you will see it in this light as well.